Hair colors are not only revolutionary but allow individuals to be the person they want to be. Although latest hair color trends keep changing and being upgraded, the popularity of blue-black hair never fades. Blue-black hair color is such a versatile shade that it looks good on everyone, despite their color and features. Hair dye companies are upgrading and updating the blue-black hair dye every day to provide a modern, classic, and sophisticated look to the contemporary audience. Choosing the right hair dye is crucial and complicated. 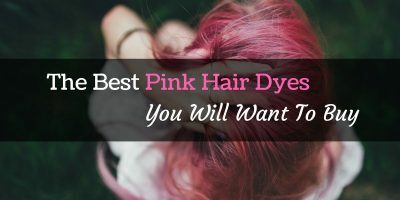 People are often confused among the thousands of available products available in the market and that is why we have decided to help you choose the right dye for your hair. Here are some of the best blue black hair dyes in the market today! L'Oréal Paris Superior Preference Permanent Hair Color is one of the best blue-black hair dyes for dark hair. The brilliant and sumptuous color provides a splendid shine to your hair. This permanent hair color lasts for 8 weeks and provides one of the best coverage for grey hair in the market. The added serum and conditioner provides hydrations and a healthy bounce to your hair. Garnier Nutrisse Nourishing Hair Color Crème in the shade of intense blue-black is another great hair dye in the market. Infused with nourishing fruit oils, this crème formula provides vibrant and sophisticated color for your hair. The addition of grape seed oil and conditioner makes the packaging more attractive and eye-catching. Clairol Nice 'n Easy Hair Color 124, 2BB Natural Blue Black 1 Kit is an affordable and brilliant solution to gray and dull hair. It provides 100% coverage and leaves your hair soft and shiny. Although the strong smell might be a deal breaker for some people, the overall finished effect it provides is worth it. Vidal Sassoon London Luxe, Midnight Muse Blue is another great semi-permanent blue-black hair dye. The Hydra block technology provides great nourishment and conditioning while the dye colors and hides all your gray hairs. For a semi-permanent hair dye, with 8 weeks staying capacity, it lasts too long. The average price and the extraordinary color are attractive and efficient. Goldwell Topchic Hair Color Coloration (tube) Blue Black is a salon quality hair dye which provides maximum coverage and super soft, shiny hair after usage. It comes in a tube; the product is not much in amount and is a bit on the expensive side. Suitable for sensitive scalp, it needs to be mixed with a developer to get the perfect effect with stunning blue-black hair. This product provides a spectacular fade-resistant technology and shine system, making it one of the best blue-black hair dyes in the market. Its affordable price is extremely attractive and the healthy and luminous shine makes it an ideal hair dye for individuals looking for an effective and long-lasting blue-black hair color. We loved the fact that it adds its own shine serum with the conditioner to provide us with shiny and silky hair. This permanent hair color stays up to 8 weeks which is a pretty good time for any hair dye to resist fading. This hair dye is super easy to apply and the hair color matches exactly to the shade on the packaging. Black sapphire is a rich and luxurious shade of black which provides a classy and contemporary look. The eye-catching color is totally worth the money you spend on it. Garnier Blue Black Hair Color is a nourishing hair color crème with the benefits of avocado, olive, and shea oil. Usually, hair colors contain harmful and damaging chemicals but Garnier’s Intense Blue Black is filled with nourishing fruit oils to give your hair a natural and healthy shine. It provides 100% gray coverage and lasts 4 to 6 weeks before it needs to be re-touched. We love that it provides a different ampoule of the grapeseed oil to nurture and nourish. It is very easy to apply and the smell is decent enough to not bother your sensitive nose. This hair dye’s color is beautiful and gives a plush vibrancy to the hair, making it bouncy and stylish. The non-drip formula is a welcome solution to stained skin and messy process. It is best for individuals who do not want to go to a salon for professional hair coloring sessions. This product is a unique liquid hair color which comes with a precision applicator. The whole kit contains a blended formula, activator, gloves, and a hydrating conditioner. It provides 100% grey coverage and easily lasts up to 8 weeks. It provides a very natural blue-black shade that we love. This permanent hair color with rich tones and highlights is one of the best blue black hair dye for dark hair. The extra shine and luster make the hair absolutely gorgeous and luxurious. In just half an hour, it turns the dull and gray hair into shiny, soft black blue hair. It has been one of the favorite brands among the hair dyeing community and the products prove its worth with its gorgeous colored dye. The gray hairs turn out lighter than others. ​The Vidal Sassoon's hair dye claims to provide vibrant color, with salon finish and last up to 8 weeks. For a semi-permanent formula, it is lavishly efficient. The midnight muse blue turned out to be truly inspiring; the color is absolutely gorgeous. The hair turns out super shiny and soft. Vidal Sassoon HydraBlock Technology protects the hair from dullness and faded color. Easy to apply, all it takes is 30 minutes to get vibrant and blue-black hair that you always wanted. The added conditioner not also softens your hair but also protects the color from fading too fast. It provides 100% coverage and you can rest assured that all your gray hairs will be completely covered. You are also provided with an extra no-gray drop to help you to some extra protection for gray hairs. This is one of the favorite hair dye among stylists all around the world. Infused with hydrolyzed wheat protein and panthenol, it results in super soft and shiny hair. The formula is known to work at a molecular level to provide maximum coverage for your dull and grey hair. This permanent hair dye is one of the best blue black hair dyes in the contemporary market. It claims to be of salon quality and we can say it does stand by its claim. The hair color is beautifully vibrant and volumizing. Most of the hair dyes are too harsh and sensitive people are left behind, being unable to use them. Goldwell’s blue black hair dye is perfectly suitable for people with a sensitive scalp. Although a bit on the expensive side, this hair dye lives up to the expectations. The only problem we had with this product is that this is too complicated to apply. It needs to be mixed with a developer in the exact way which might be problematic for people doing it themselves at home. How to Buy the Best Blue Black Hair Dye? Hair is uniquely sensitive and more prone to damage, which is why it is crucial to choose the right hair dye for your application. Choosing the wrong dye might damage your hair and destroy your overall look. Here are some things you need to consider before buying your blue-black hair dye. Price - The market is filled with different products at different prices. You need to figure out your budget and choose accordingly. Do not think that just because the price of some product is high, it will be good. There is no such assurance. Choose wisely and research well. 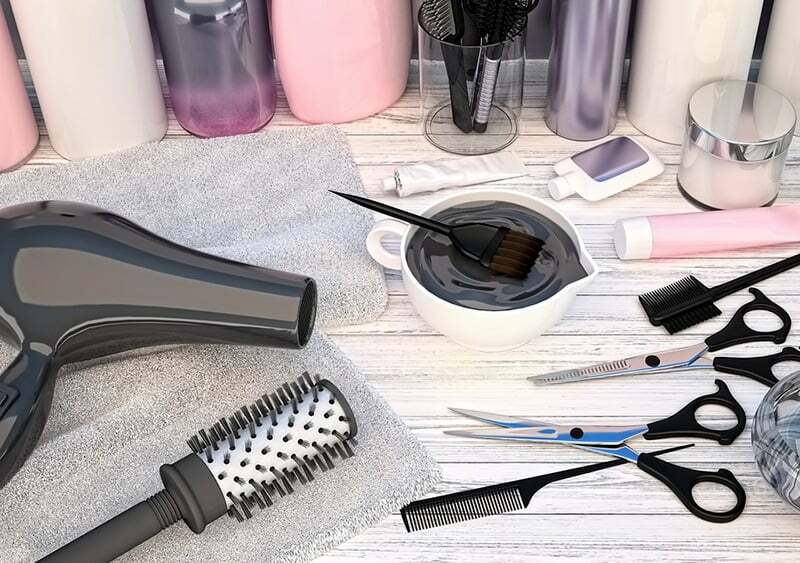 Chemicals - Although most of the hair dyes have chemicals, you will find some more natural and protected from the harmful effects of ammonia and other chemicals. 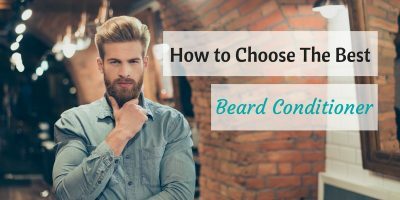 It totally depends on your choice and preferences. Application - If you are applying the product yourself and at your home, it is best to choose the dye that is easy to apply and does not create much mess. Too many complicated processes might cause you to make mistakes and destroy your hair in the meanwhile. Durability - You can choose among permanent and semi-permanent hair colors according to your convenience. In both these categories, you will find numerous different products with different lasting capacity. Color - Some people prefer to get a more natural shine while some want extra shine and luster in their hair. You need to choose your hair dye according to your choice and likings. There is a plethora of product with different shades and shine level available for you to choose from. All the five products that we discussed today are great at their job but we found ourselves inclining towards L'Oréal Paris Superior Preference Permanent Hair Color, 2BL Black Sapphire. This dye is not only affordable but also super easy to apply. We love the shiny, lustrous finish it gives to the hair. The color is exactly the right mixture of black and blue; perfect for the contemporary, stylish, and sophisticated look. The color lasts for up to 8 weeks and it provides great coverage for the gray areas. The additional serum and conditioner in the package are attractive and useful. The serum works magic on dry hair leaving it hydrated, healthy, and soft. L'Oréal Paris’s Black Sapphire has definitely earned the title of the best blue black hair dye in the market.